D.G. Brown Construction is your quality renovation contractor serving the Belleville, Madoc and surrounding area. We have completed many different successful projects and here is one just to name a few. 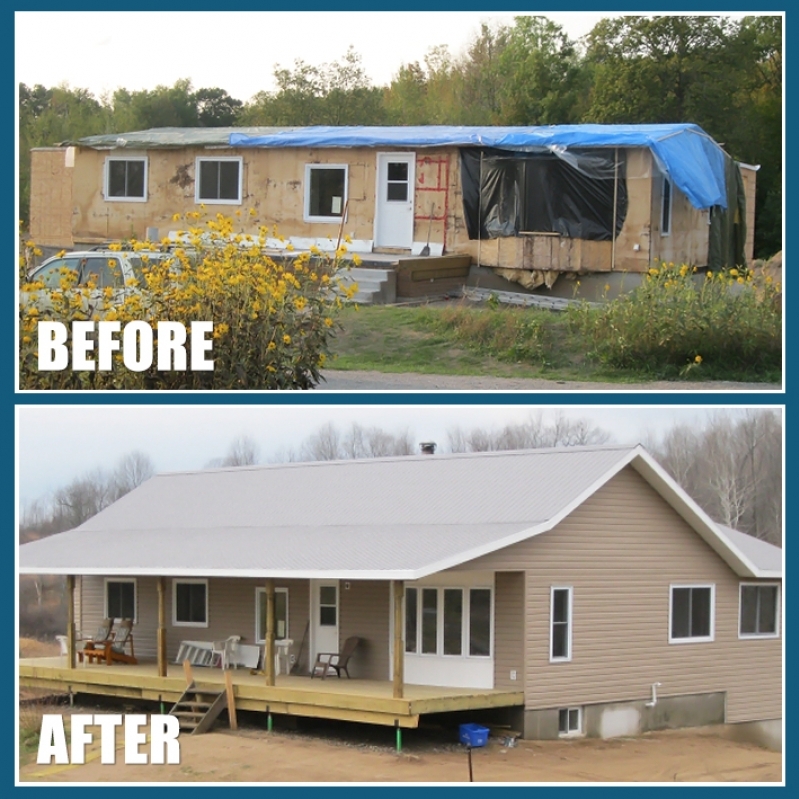 In this project we took a modular house, doubled the footprint size and added a second storey and walkout basement. "We have had several projects done by DG Brown Construction over the years, including, most recently, a major renovation of our house with two additions and a total roof reconfiguration. Our experience has always been that Dave and his crew are cheerful, courteous, diligent, innovative and very helpful with advice and suggestions. We are enjoying the amazing transformation of our house which has been turned into a bright, stylish, comfortable and well-insulated living space."